8tracks today announced that it is making an official app for its service available for gamers using the Xbox 360. Gamers with an Xbox Live Gold subscription are able to download the application today, which gives unlimited access to 8tracks playlists through the console. You won’t need an 8tracks profile or subscription to download or use the application, but the service is much better with one since your playlists and liked tracks and followed artists on the service will synchronise to the console. 8tracks has included full Kinect support so the app can be used with voice controls or gestures too. The app is entirely free and doesn’t require a 8tracks subscription to be used, just an Xbox Live Gold subscription (which is also required to use many other third party apps such as Netflix). 8tracks also announced today that the service has reached 8 million monthly active users that are streaming 30 million hours. That’s up from 5 million monthly active users and 10 million hours of streaming the last time 8tracks announced numbers in 2012. 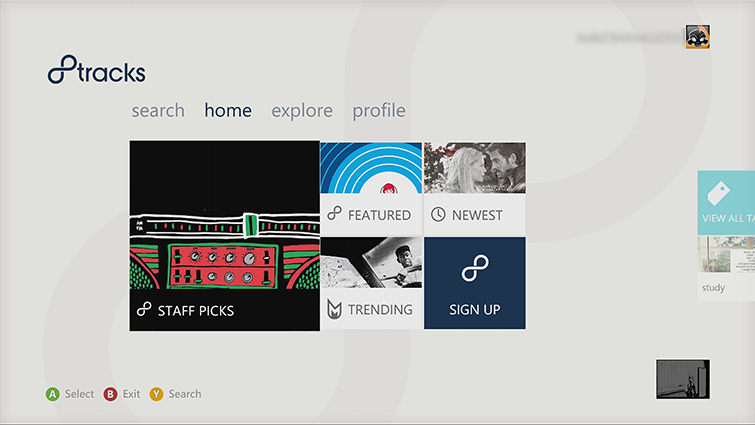 To download 8tracks’ new Xbox 360 app, simply go to the ‘Apps’ section on your Xbox 360 and search for 8tracks to install. Detailed instructions can be found on the Xbox website.